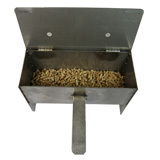 Stock up on pellets and maximize smoke flavor before competition and grilling season begins! 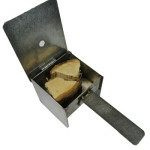 All Cookshack Pellets and Smoke Enhancers will be 15% off from February 25 to February 29! Simply use the promo code LEAPYEAR during online checkout or give us a call at 1-800-423-0698! Since your new smoke enhancer lets you use more pellets than normal, you may need to stock up on your favorite Cookshack Pellets! We offer mesquite, hickory, oak and fruitwood. Not sure which pellets are right you? Check out the “Why Pellets” tab. Check out our newest blog post and save! I have a FSC 100. 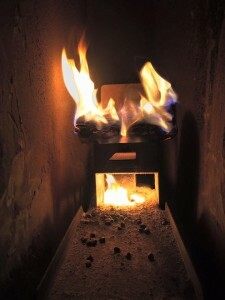 When I use the enhancer and place it on the fire box the pellets end up charred but not burned. How do I get the pellets to burn. Hi John! Sorry this reply took so long. If you watch this video (start at about 1:10), Stuart explains how to use the smoke enhancer on the FEC120. They are essentially the same unit except the FEC100 is more for home/competition use instead of in a commercial kitchen. Let me know if this helps!